In extremely distressing news coming out of Las Vegas on the morning of Monday, Oct. 2, news outlets are reporting that quite possibly the deadliest mass shooting in American history has taken place. According to NBC, at the time of reporting, at least 50 people were killed and 200 were injured when 64-year-old shooter Stephen Paddock attacked the Route 91 Harvest Country Music Festival near the Mandalay Bay Hotel on the evening on Sunday, Oct. 1. Some of country music’s finest were performing on Sunday at the Route 91 music festival, including Jason Aldean. Aldean was reportedly onstage performing at the time of the shooting, wherein Paddock opened fire on the concert from the 32nd floor of the Mandalay Bay Hotel. 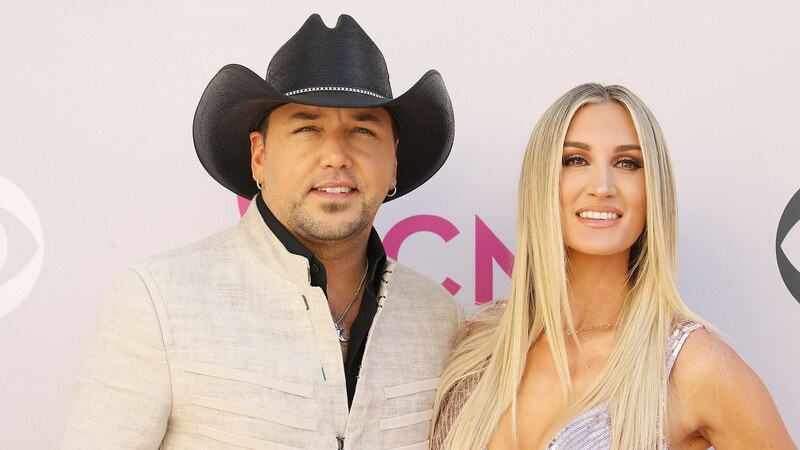 While Aldean was confirmed to be safe and unharmed in the wake of the shooting by Entertainment Tonight, he did not remain silent about the deeply upsetting events that took place. On his personal Instagram page, Aldean posted a photo that read, “Prayers for Las Vegas” as well as a full caption that confirmed that he and his crew were safe but that this shooting was incredibly tragic. “Tonight has been beyond horrific. I still don’t know what to say but wanted to let everyone know that Me and my Crew are safe. My Thoughts and prayers go out to everyone involved tonight. It hurts my heart that this would happen to anyone who was just coming out to enjoy what should have been a fun night,” he wrote. In times like these, it’s not uncommon for celebrities to comment en masse on social media about the horrific nature of such a distressing event. As such, it would appear that a great many country music stars are now commenting on how upsetting it was to be present during the shooting while praying for the safety of those who survived the shooting and sending condolences for those who were killed. While the country music community isn’t the only group of celebrities commenting on the Las Vegas shooting at this time, it is heartening to see them rallying around one another. As more news emerges about this event, it is a bit of a comfort to see that thoughts and prayers are coming from them and being sent out to those who need it most.